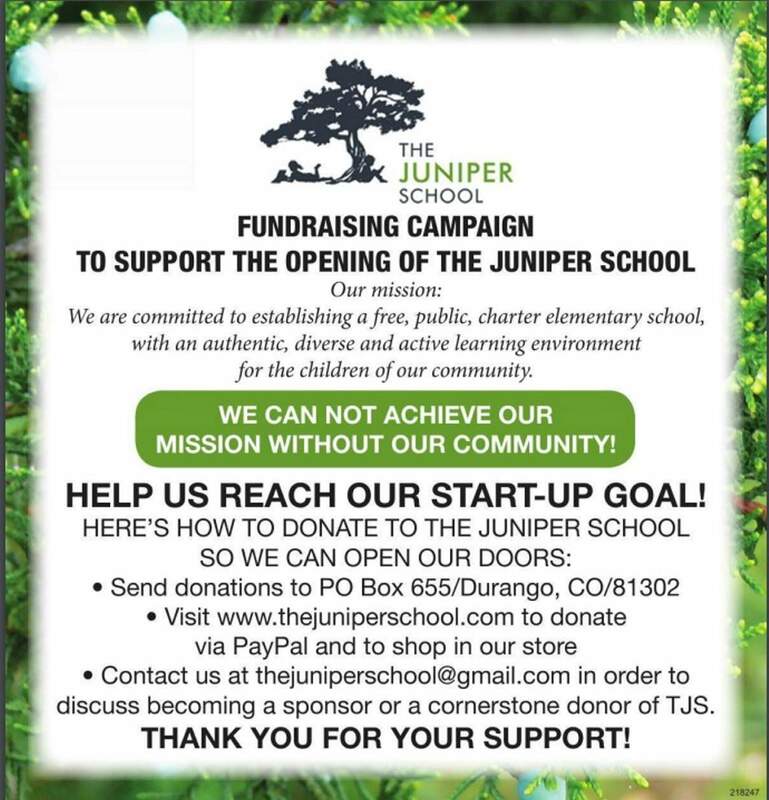 The Juniper School, a new charter elementary school, will open in August above Big Picture High School, 215 E. 12th St. Fundraising events are planned for later in the year to cover additional opening costs. The Juniper School, a new charter elementary school, will open Aug. 28 for the 2017-18 school year after being delayed a year because it did not receive a startup grant from the Colorado Department of Education. The K-5 school is chartered through Durango School District 9-R and will offer project-based learning for its students. Enrollment is accepted on a first-come, first-served basis, and the school is taking applications for a limited number of open spots in third, fourth and fifth grades. Children in kindergarten, first and second grade will be placed on a waitlist. “We are accepting 150 students this year, roughly 25 per grade,” said Tammy Fraley, school board president. In November, the school received a grant from the Colorado Charter Schools Program for $215,000 annually over three years. Fraley said the school will open as scheduled despite needing to raise an additional 20 to 25 percent of the school’s startup goal. “Every charter school has to fund-raise. We need money to flush out financials for operating expenses as the year goes on,” she said. A wine-tasting fundraiser is planned for mid-September, but a date has not been set. “We will likely have two fundraisers a year. … Our biggest expense is our teachers and we really value them,” she said. The Juniper School will cover all health benefits for its staff, unlike most charter schools, Fraley said. The school officially moves into its space above Big Picture High School on July 1, but that will not be a permanent residence for the school. “We will want to grow and move in the future. We expect to have more teachers and accept more students next school year. The maximum number of students we will eventually accept will be 228,” Fraley said. The school is seeking tax-deductable donations and sponsors through its website.